Time is still an ambiguous dimension for the majority of the Huaorani. "How old are you?" is a completely irrelevant question, as nobody really knows their age, except the younger Huaorani, that live closer to civilization and go to school. The jaguar is revered and called "tigre." The Huaorani identify closely with this majestic animal. Some elderly warriors are believed to have special powers and are able to transform themselves into jaguar. I met the chief of a village, an old and revered warrior. I was told he "had tiger" ("tiene tigre" in Spanish). I thought he really had a pet in his house. It actually meant he had the power of transforming himself into the animal, and to roam the jungle, communicating with the animals. 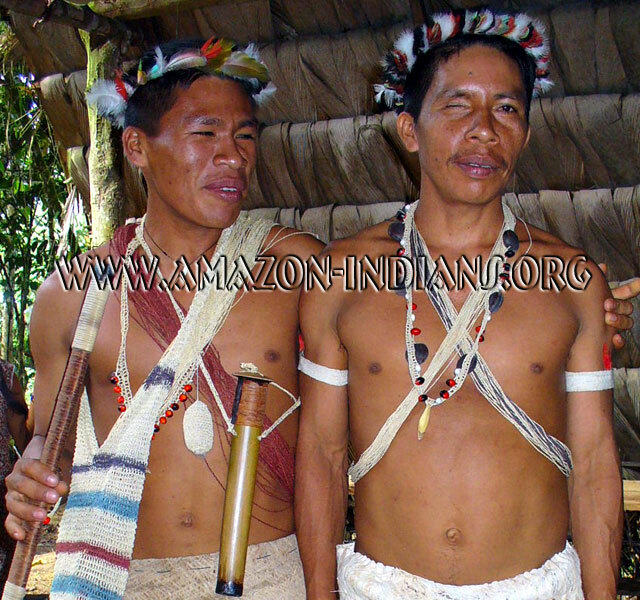 Sidenote: Inside the Huaorani territory, between Shiripuno and Curaray Rivers there is the "Zona Intangible" (the Off-Limit Zone), an area inhabited by two indigenous groups that refuse any contact with the outside world, and choose to live in complete isolation. They are the Tagaeri and Taromenane. It is believed they number less than 150, and have never been contacted by the outside world. The few attempts made to contact them have failed, with the encounters ending up with the death of the intruders (missionaries, illegal lodgers and oil company workers). This area is declared "intangible" even by the Ecuadorian government itself, as it is thought that trespassers will not make it out alive if they are seen by the natives. It is said that whoever does not respect their wish of seclusion, pays the price with their life. Even the Huaoranis respect the forbidden area. Some have hypothesized that the Tagaeri and Taromenane are branches of the Huaorani that separated from the main group a generation ago, right at the time of the Huaorani's first contact with the outer world.